Leonard Cooper Ltd are incredibly proud to be appointed as the main steelwork contractor for the prestigious Majestic Building which is a local landmark in our home city of Leeds. Working alongside Sir Robert McAlpine and Buro Happold Engineering. Leonard Cooper Ltd will supply deliver and erect approx 450t of structural steelwork on the prestigious Majestic project in the heart of Leeds City Centre and are excited to see the development of such an iconic building. The building first opened its doors to the public in the summer of 1922 and started life as a cinema, restaurant and ballroom. It was later transformed into a bingo hall and was the top ranking hall by the mid 1980's with as many as 10,000 people a week flocking through its doors. In the 1990's it changed its face again, becoming the infamous Majestic Nightclub which promised “clubbing for people who want to enjoy themselves with no pretensions or attitudes” then in more recent times served as an entertainment complex and casino. In 2012 it received official recognition for its place in Leeds’ history and was awarded one of the Leeds Civic Trust heritage blue plaques. 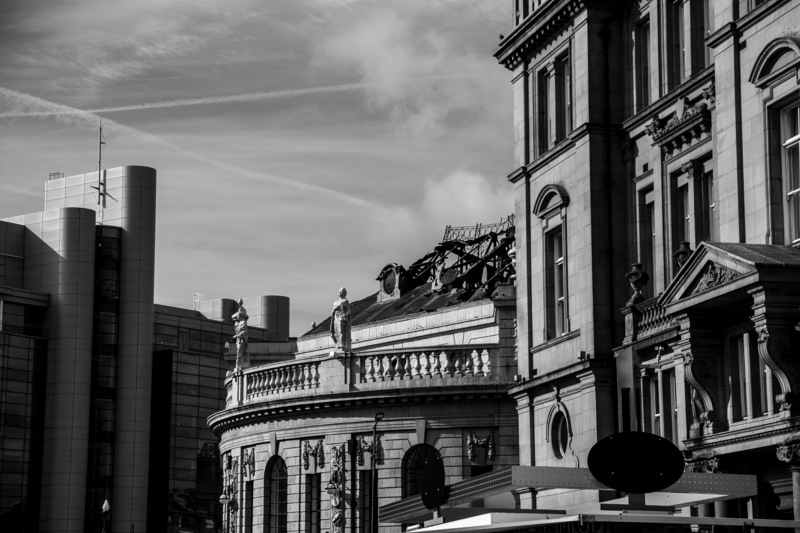 1st October 2014, the Majestic building had been badly damaged in a severe fire but how firefighters had worked through the night to tackle the blaze and managed to save the iconic façade. Work has now started the transformation of the local landmark to a new Grade A office building. We are incredibly proud to be working on such a prestigious contract and look forward to sharing the progress of this much loved iconic building in the heart of Leeds City Centre.